Areas of expertise include, road racing, time trailing, criterium racing, MTB, cyclocross & triathlon. We provide coaching services to athletes who seek to improve their performance and fitness. We work with competitive cyclists as well as performance oriented recreational cyclists. Our philosophy is to employ an active interaction with our clients. We are advocates of training with power utlilizing time tested training methodologies, as well as state of the art, science based methodologies. In addition to my USAC Level 2 Coaching Certification, I am also a Hunter Allen/Peaks Coaching Group Power Certified Coach, a Level 1 Training Peaks Coach and a Team USA Safe Sport Coach. 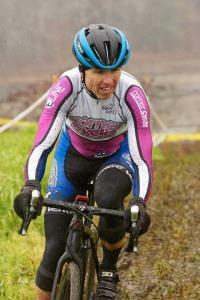 I have been a competitive cyclist in both the US and in Canada and continue to compete as an active Masters racer. Our requirements are working with individuals who are highly motivated and committed to bring their game to the next level. Most athletes we work with have power meters and/or HR monitors. Success. Coach Brian Murphy has been notified of your message.